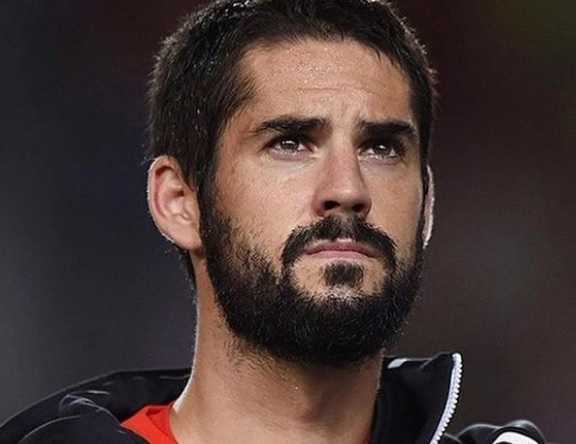 Francisco Roman Alarcon Suarez, popularly known as Isco is a professional football player who plays as an attacking midfielder for La Liga club Real Madrid and the Spanish National Team. At present, Isco is described as one of the best-attacking midfielders in the world football. Isco started his career from another La Liga club Valencia. Isco joined Malaga in 2011 before joining the Real Madrid in 2013 in a 30 million Euro transfer. Isco became the very important player in the team when Real Madrid won their 13th, and four UEFA Champions League in five years, which also includes historical three UCL titles in three consecutive years as well. Initially, Isco represented Spanish National Team at various youth levels, before joining Spain senior team in 2013. Isco has scored a total of 62 goals for all clubs he played for in different occasions and 12 goals for Spanish senior team. Isco comes in as a substitute and earns Real Madrid a point against Athletic Bilbao at San Mames. Real Madrid was held 1-1 by Athletic Bilbao. Athletic took lead when Iker Muniain scored against Madrid on 32nd minute. Isco came in the 61st minute for Luka Modric and scored an equalizer in the 63rd minute with a header from a cross by Gareth Bale. His vision of passing abilities and scoring goals. Isco was born to a father Paco Alarcon and a mother Jenny Suarez on April 21, 1992, in Benalmadena, Malaga, Andalusia, Spain. He grew up his brother, Antonio Carlos Alarcon. Isco belongs to white ethnicity and holds a Spanish nationality. In his childhood, Isco played for Atletico Benamiel. Isco joined Valencia CF youth system in 2006. Isco played with Valencia youth system for three years. Isco was called up in Valencia's senior team B in 2009. Isco made his senior debut for the club against UD Logrones in Copa del Rey on November 11, 2010. Isco scored two of four goals for Valencia in a 4-1 win. Isco made his La Liga debut against Getafe CF on November 14, 2010. Isco came on as a substitute for Aritz Aduriz in the 70th minute. Valencia won 2-0 at home. Isco signed for Malaga in July 2011 in a transfer fee of 6 million pounds. Isco scored his first goal for Malaga side against Racing de Santander on November 21, 2011. That season, Malaga went on qualifying for the UEFA Champions League for the first time in its history. Isco scored twice for Malaga in their first Champions League game ever against FC Zenit Saint Petersburg. Isco also scored when Malaga defeated Real Madrid 3-2 for the first time in 29 years at home. Following his amazing performance, Isco won the Golden Boy Award in December. Isco kept Stephan El Shaarawy and Thibaut Courtois behind in doing so. Isco renewed his contract with Malaga on January 28, 2013, with a buyout clause of 35 million Euro. Real Madrid signed a five-year contract with Golden boy Isco on June 27, 2013, for 30 million Euro. Isco took shirt number 23 for his new club. He made his debut for Real Madrid against Real Betis on August 18, 2013. Isco assisted and scored a winning goal for Real Madrid in a 2-1 win. Isco went on scoring a goal during Real Madrid's 10th UCL Title victory against local rivals Atletico Madrid. Isco changed his shirt number from 23 to his previous shirt number at Malaga, 23 prior to the start of the 2015-16 season. Isco was sent off in the 84th minute for a foul on Neymar when Real Madrid lost 0-4 at home in El Classico. Isco was also a vital player of the squad when Real Madrid won their 11th UCL Title during the 2015-16 season. Isco scored 100th goal of the season for Real Madrid against Osasuna ina 3-1 win. Isco also became the important member of the 2016-17 La Liga and UCL winning squad. Real Madrid became the first club ever in the history to win UCL title in consecutive years i.e 2015-16 and 2016-17. Real Madrid defeated Seria A club Juventus 4-1 in UCL Final. Isco signed a new contract with Real Madrid on September 14, 2017. Isco was again a vital member of the team when Real Madrid won the historical UCL Title for the third consecutive times and 13th for the club. Real Madrid defeated Liverpool 3-1 in UCL Final. Initially, Isco played for Spain U-17 in 2009 FIFA World Cup. Spain U-17 finished third during their campaign. Isco then appeared with Spain U-20, U-23. Isco made his senior debut for Spain against Uruguay on February 6, 2013. Isco came on as a substitute in the 60th minute. Spain won 3-1. Isco scored for Spain when Spain U-21 won the UEFA European U-21 Championship Final and won Bronze Boot with 3 goals. Isco scored his first goal for Spain senior team against Belarus in a UEFA Euro 2016 qualifying match. Isco scored an opener in a 3-0 win. Isco scored his first career hat-trick for Spain in a friendly against Argentina on March 27, 2018. Spain beat Argentina 6-1. Isco played for Spain in 2018 FIFA World Cup. Spain was eliminated from Round of 16 by the host nation, Russia in a penalty shootout. 2009 FIFA U-17 World Cup, Third Place. Isco is in a relationship with a Spanish actress, Sara Salamo since 2017. Previously, he dated the glamorous model, Carmen Munoz from 2016 - 2017. Isco is unmarried till date. Before Carmen, he was in a relationship with Victoria Calderon from 2010 to 2015. Isco has a son with Victoria named Francisco Alarcon. 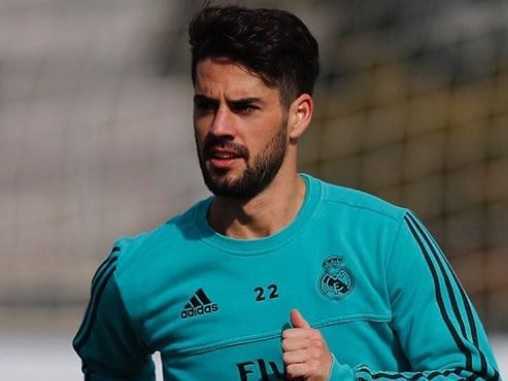 As of 2018, the net worth of Isco is estimated to be $12 million. Following a 4-year contract extension in September 2017, He earns a salary of $7.05 million per year. Real Madrid initially signed Isco for 30 million Euro and an annual salary of $4.18 million per year. Real Madrid has risen his buyout clause from $176.19 million to $882.24 million. Isco earns from salary, contracts, and endorsements. Isco scored against Real Madrid and handed his team a 3-2 historical victory for the first time ever in 29 years. Isco won the Golden Boy Award ahead of El Shaarawy and Thibaut Courtois.